Powered by the all-new Prowler AI system, predators in Cabela's Dangerous Hunts 2013 are now smarter, and deadlier than ever before. Animals now have the ability to form pack social hierarchies, coordinate complex group tactics and take advantage of the surroundings to set up deadly ambushes. No two scenarios are alike and what worked before will not work so well the next time around. 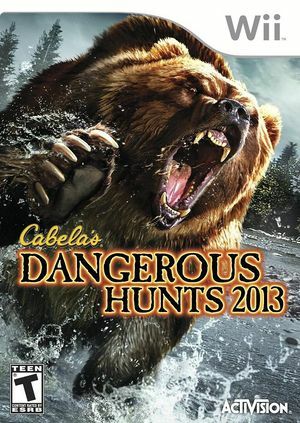 The graph below charts the compatibility with Cabela's Dangerous Hunts 2013 since Dolphin's 2.0 release, listing revisions only where a compatibility change occurred.